It looks like the turnaround optimism on GE has evaporated. With prices weak today it looks like the turnaround optimism on GE has evaporated. Let's check the charts again. In this daily bar chart of GE, below, we can see how prices stopped cold in their tracks at the underside of the declining 200-day moving average line. The rising 50-day moving line could be tested in the days ahead. The rising On-Balance-Volume (OBV) line may have finished its rise from December. Momentum is a leading indicator and in the lower panel we can see how the 12-day price momentum indicator has made three lower highs from January creating a bearish divergence versus the price action. In this weekly bar chart of GE, below, we only have one new signal since our last check. GE is failing at the underside of the declining 40-week moving average line. The weekly OBV line is still (for now) pointed up and the MACD oscillator is pointed up from a cover shorts buy signal in January. 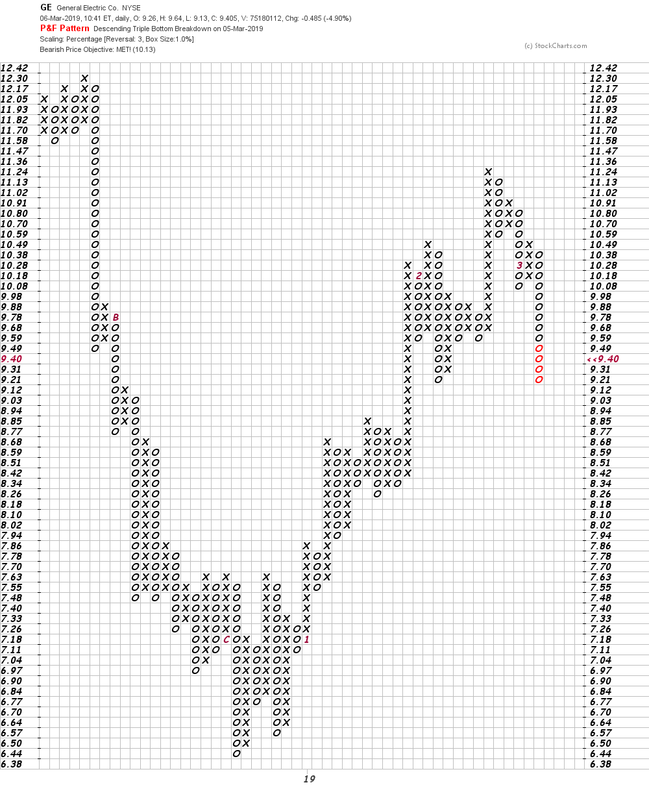 In this Point and Figure chart of GE, below, we can see the decline of Tuesday and today (column of "O's"). Today we have trades down to $9.21 on this chart. Should a trade at $9.12 happen it would be a new low and could open the way to still further declines. 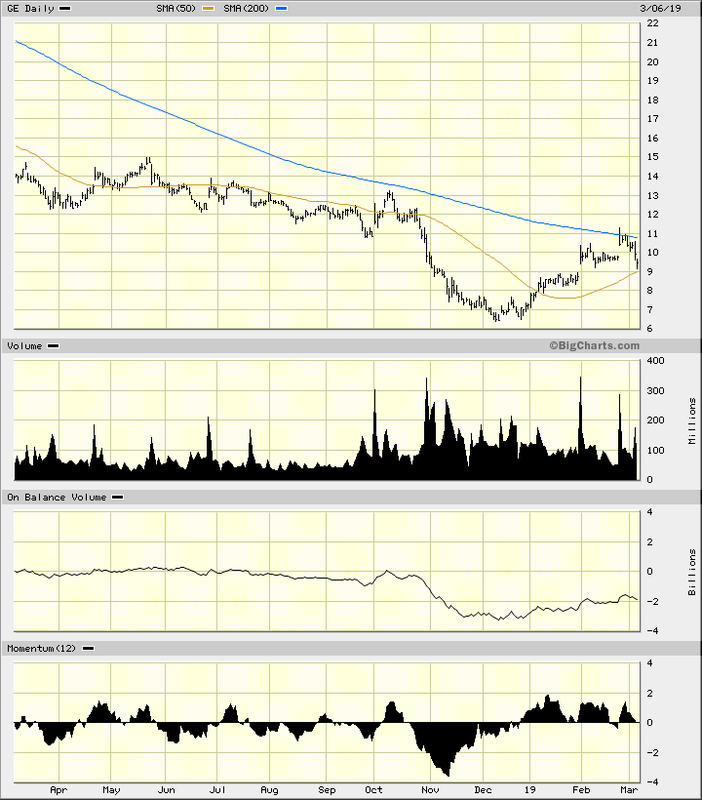 If GE does not break to a new low of $9.12 it will need to rebase above $9.12. Bottom line strategy: Early bottom pickers in GE will feel a bit punished and bruised today. GE may not be retreating all the way back down to its December nadir but thoughts of a quick turnaround should be put on hold.